My eldest was bought her first Build-A-Bear by her Grandpappy, she's now twelve and this bear still sits at the end of her bed. Since then we've had many more of these creations come into our house, including my youngest's favourite cuddly toy, Chewbacca. 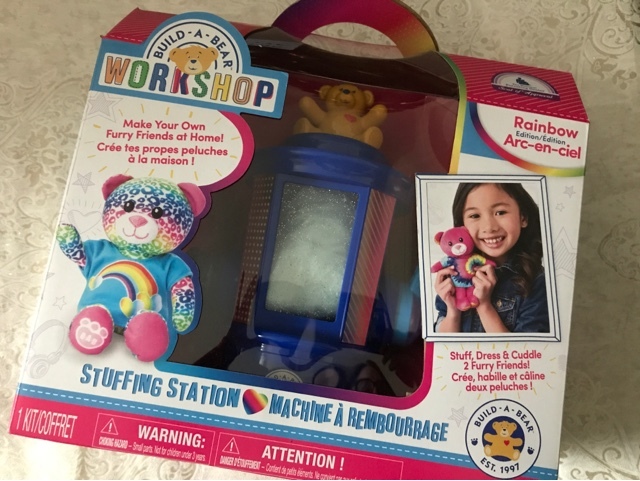 And now we've been able to bring the fun of Build-A-Bear home with their fantastic Stuffing Station. 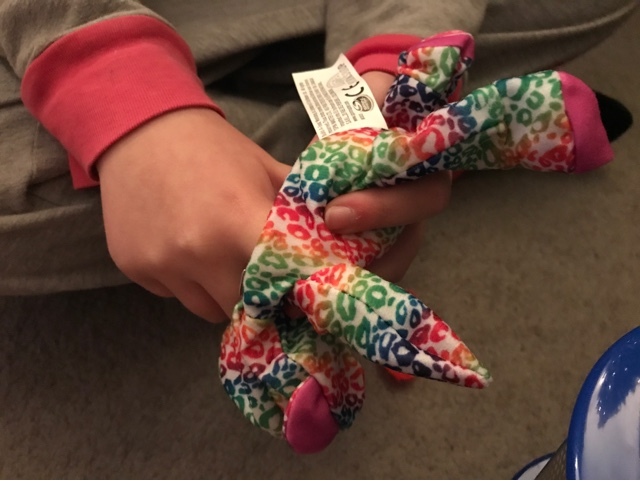 Half the fun of these toys is getting to be part of the process of making them, pumping in the stuffing, placing a loving heart inside and then of course you need to name your new companion. All of this magic is included when you use the Stuffing Station. So what's included? What I immediately love about this toy is the fact that no batteries are needed, a big plus from a parent point of view. 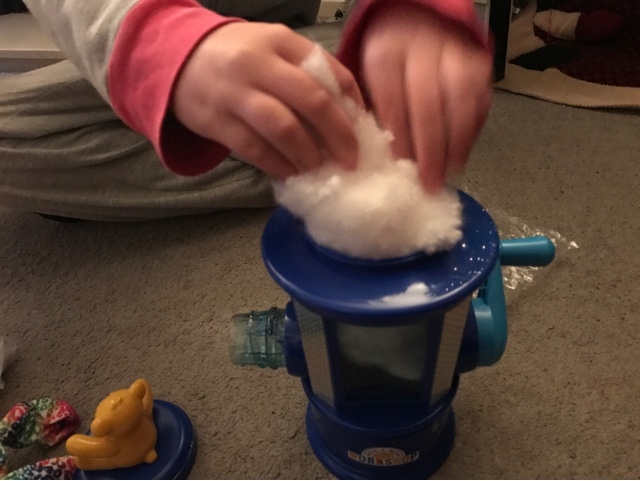 It is very easy to use, the instructions are clear and precise and because there are no batteries required you can get to work as soon as the stuffing station is taken out of the box and even that is simple, no fiddly tags to contend with. Thank goodness because my kids were eager to get started, I'll be honest they haven't been this excited about a toy in a long time! Stuffing the bears takes around 10-15 minutes. 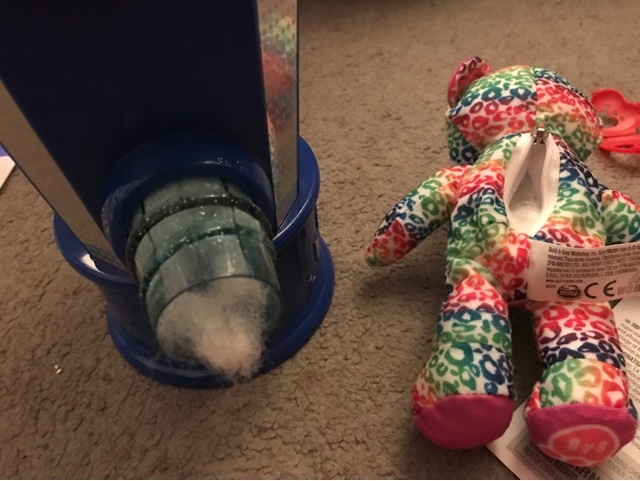 One bear requires one bag of stuffing, simply put a bag of stuffing into the stuffing station, place one of the bears over the nozzle and begin to turn the handle clockwise. Each time the bear pops off you can move the stuffing around into the legs, arms and head and once all the stuffing is out of the station your bear will be perfectly plump. Even better there is no sewing involved either, simply do up the zip up at the back when finished. 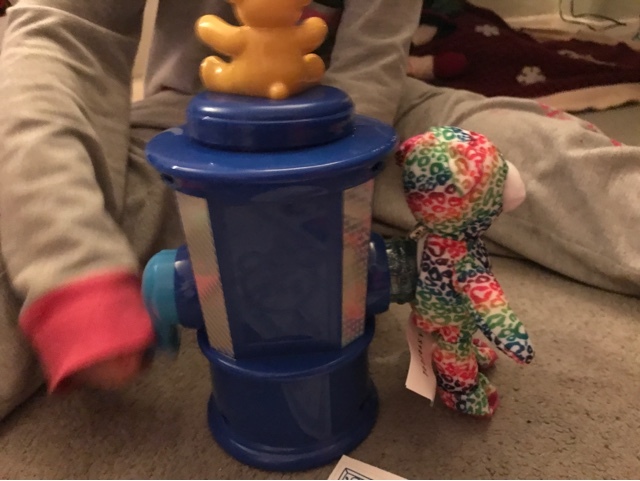 "Stuff, dress and cuddle your own furry friend"
My nine and seven year olds were able to do the majority of this by themselves, the only thing that they needed help with was popping the bears back on the nozzle on occasion. I could see younger children needing a helping hand with pushing the stuffing into all of the limbs though. Once their bears were stuffed the girls then proceeded to pop their hearts inside and fill out their birth certificates. 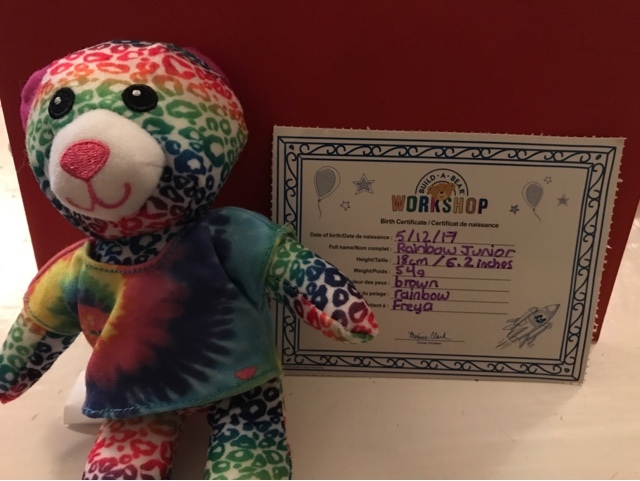 My nine year old actually has a bigger version of the teddy she picked so of course she got named Rainbow Junior. They even went as far as getting rulers and weighing scales out so that they could give exact measurements. This added an extra element to the toy, giving it a learning aspect as well as the fun side of it all. 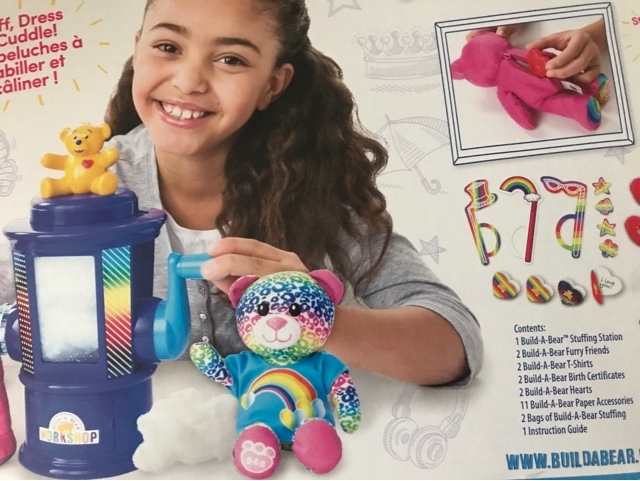 What does seem a shame is that if you don't plan on buying additional refill kit (which there isn't a big range of right now) then the stuffing station becomes a little redundant after the bears have been made but the bears which you create really are lovely. 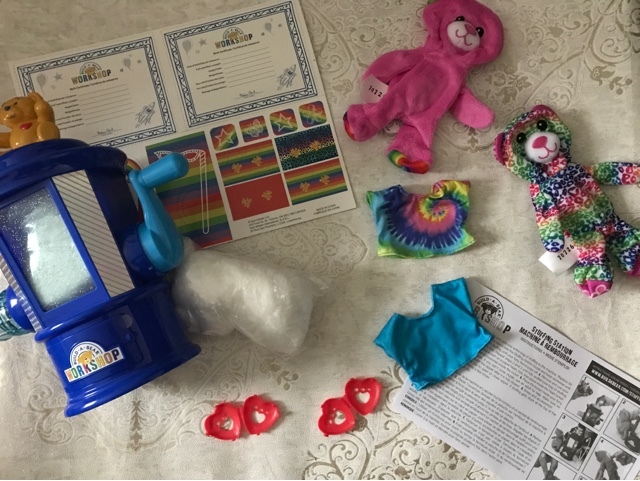 Overall I'm more than impressed with the Build-A-Bear Rainbow Stuffing Station. 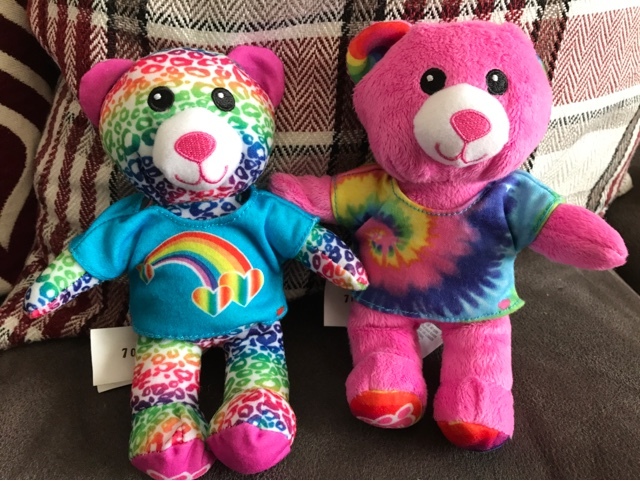 It offers great value for money, the process of making the bears is fun great for kids to do by themselves or together with parents, it gets the kids excited as they anticipate the end creation and what you get when completed are two utterly adorable bears which children will most definitely treasure.